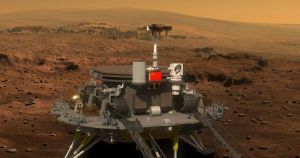 After landing the world’s first rover on the far side of the Moon early this year, China already has far more ambitious plans in the works: sending a rover to Mars. China’s space program has rapidly picked up pace. Its Yutu 1 rover landed on the Moon in 2013. A second rover landed on the far side some six years later, and a third rover will follow at the end of this year, with the goal of returning to Earth with at least four pounds of lunar soil and rock samples. But increasingly, China’s space agency has been focusing its efforts on the Red Planet. This weekend, China opened its first Mars simulation base in Qinghai Province at a location known to have similarities to the Martian surface. The base can house 60 people in its futuristic capsules. China won’t be the first nation to explore Mars. NASA, for one, has a considerable head start: Its Jet Propulsion Lab has so far sent four remotely operated rovers to the Martian surface to look for signs of life gather scientific data about the distant world. Both NASA and the European Space Agency each plan to send new rovers to Mars as soon as next year. But China is making a substantial effort to catch up. The post China Plans to Launch a Mars Rover Next Year appeared first on Futurism.